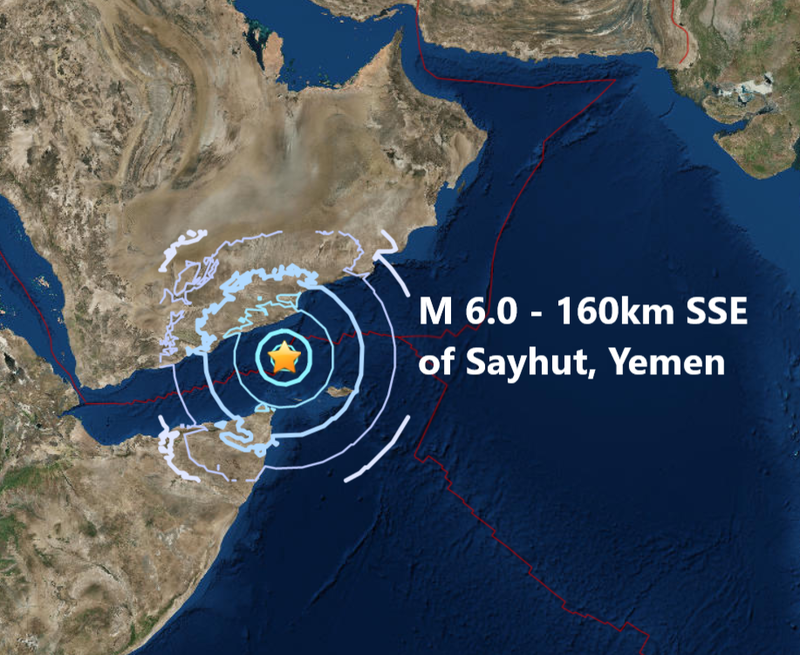 An earthquake of 6.2 magnitude reduced to a 6.0 struck off Yemen on Sunday, the U.S. Geological Survey (USGS) reported, but there were no immediate reports of any damage or casualties. The quake struck 213 km northwest of Socotra island in the Gulf of Aden. There was no immediate no tsunami warning. The quake is the 3rd major quake of June and only the 47th of 2018, on course to be the lowest total this century for the second year running. Well I don't think it has anything to do with it, I went back to USGS to see how many major quakes had occurred from January 1st 2010 to the July 16th in 2010 and 108 major had been recorded an incredible 61 more than the same period this year and just 3 short of the entire year total of 111 in 2017. I checked the same period for the year 2008 and once again a total of 104 major quakes was recorded 57 more than the same period this year and only 7 short of the entire year total of last year so why are major quakes drying up? The drought of major quakes appears to have nothing to do with the solar minimum and with no real proof coronal hole activity has a direct influence to major quakes we are left to ponder as to why so few major quakes the last year and a half? The average number of major quakes this century from January the 1st to July the 16th is 76, this year's total way down on 47, we could be on course for a yearly total number of major quake count at less than a hundred, less than 33% of the average yearly total of 152 this century.